A fun Summer kids printable game! 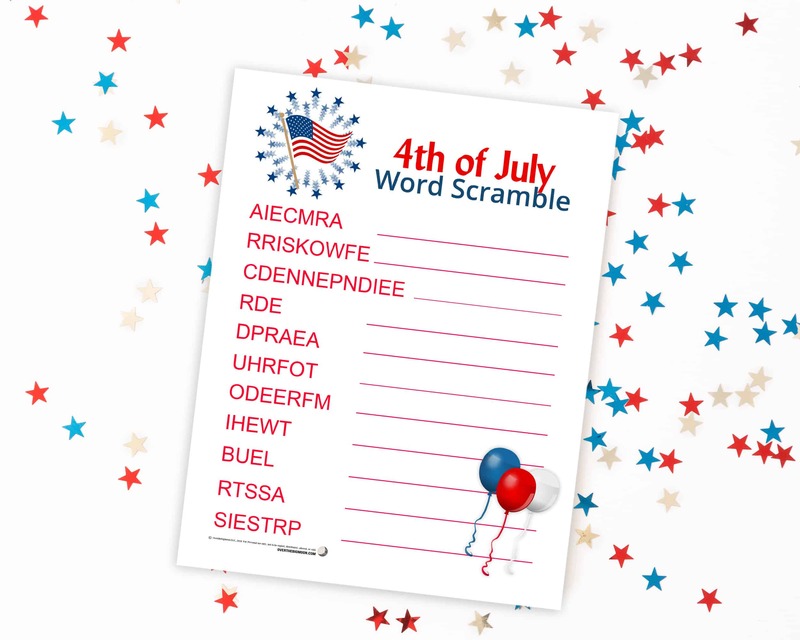 This 4th of July Word Scramble is perfect for an afternoon activity this upcoming Independence Day! 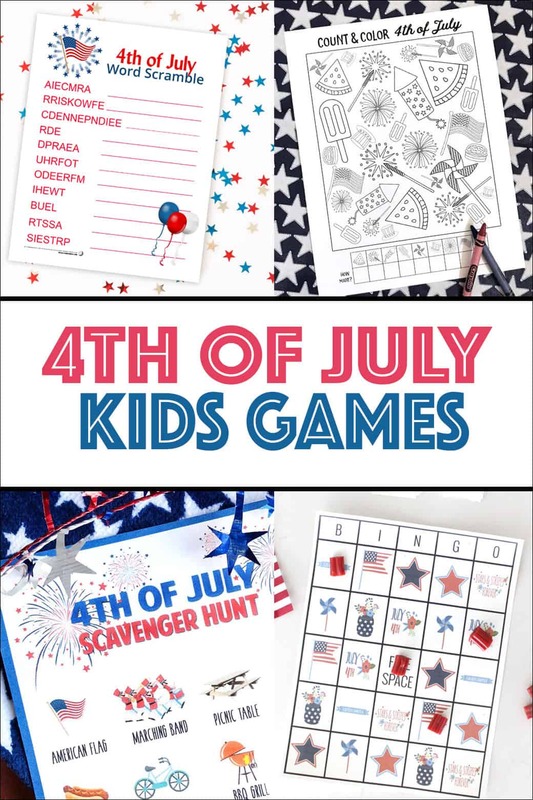 Looking for more 4th of July Kids Activities? Scroll to the bottom for some links to some other fun games! Happy Summer friends! It’s our official first week of summer this week and so I am in kids activities mode! 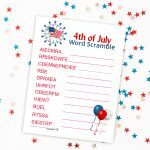 I want o plan some fun activities to lead up to the 4th of July, so today I’m back with a fun 4th of July Word Scramble for your kiddos! This is the perfect activity for your kiddos this upcoming month on an afternoon when they need a little activity! 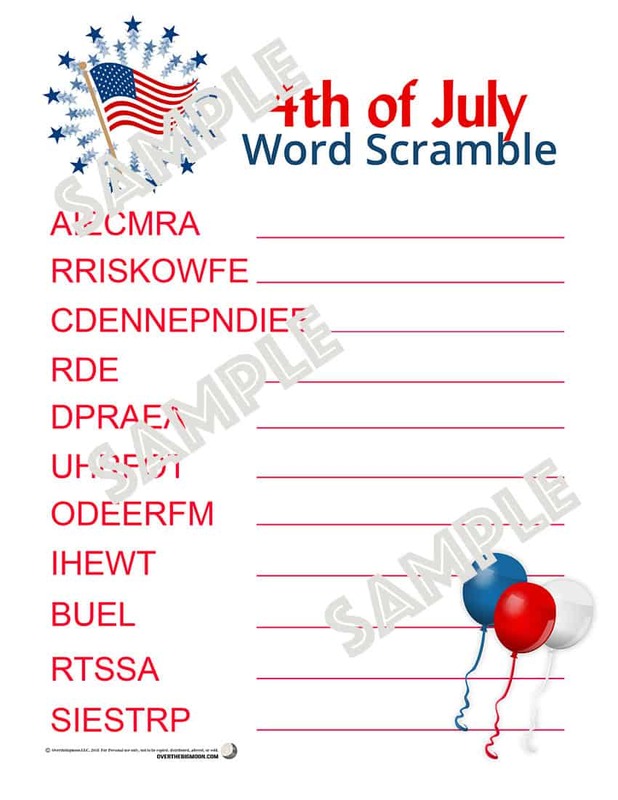 Plus, I’ve linked a few of my friends 4th of July Printables at the bottom of this post! We all know how expensive summer activities can be and so we wanted to provide you a few free ones! !